Scribbles That Matter notebooks are a popular choice among people who bullet journal. 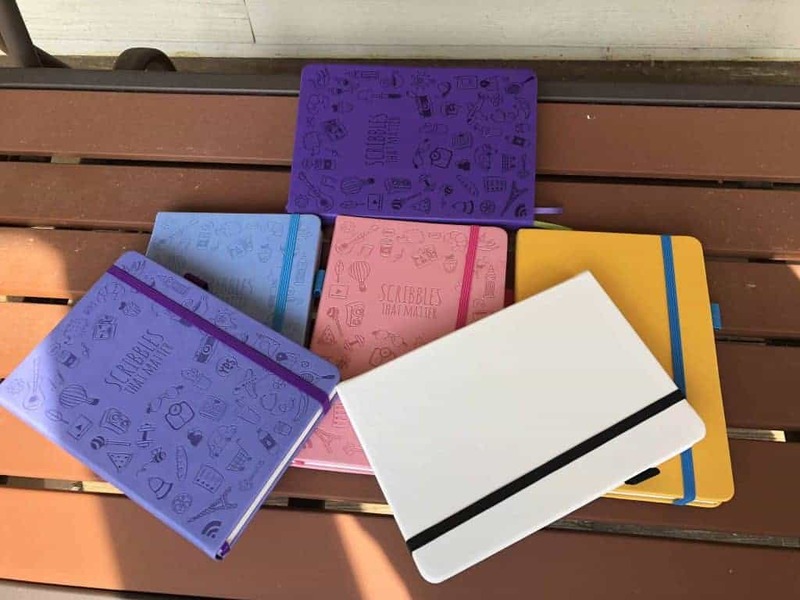 The Scribbles That Matter journals feature cute journal covers that come in several colors, thick paper, and different sizes and types to fit your needs. Check out the newest Bullet Planner by Scribbles That Matter! 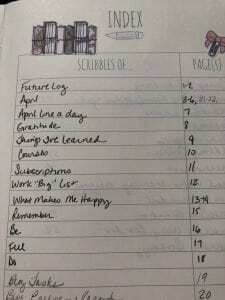 I’ve been using the Scribbles That Matter Iconic Journal as my main bullet journal for the past few months and thought I’d update you about my experience. Since I have several different versions of the Scribbles That Matter Journal, I will share my thoughts on those as well. If you’re new to bullet journaling click here to learn how to start your own bullet journal. Scribbles That Matter notebooks come in a bunch of great colors. 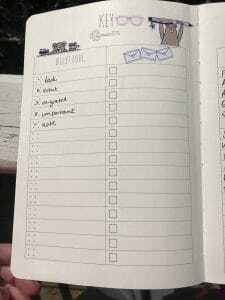 The iconic version is known for its cute planner covers with doodles, while the pro version limits these doodles to a small section on the back. What Do These Notebook Sizes Mean? A5 is the typical bullet journal size. An A5 journal is about size of a half piece of paper. A6-ish (this makes me laugh) is 5.8 inches by 4.3 inches according to Amazon. A6 is typically 4.1 by 5.8 so it is close! I will only be discussing the A5 and B5 dotted notebooks in this part of this post. 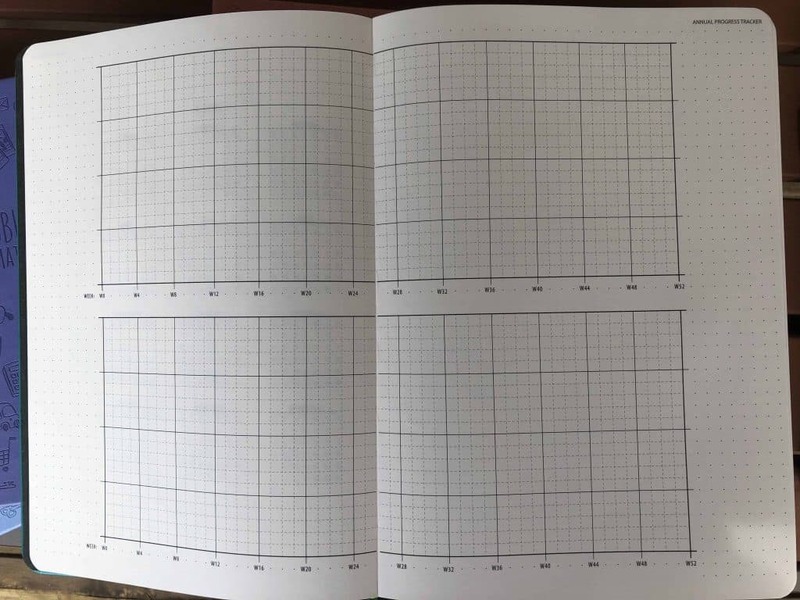 I do not own any of the graph/square grid notebooks. I will discuss the Bullet Planner later in this post since it is different than the others because it has done for you pages. Scroll down if you’re interested since I also included a video flip through! The Pro Version cover does not have doodles on the cover. The Iconic Version does. The B5 version is larger than the A5 versions. The B5 Scribbles That Matter Notebook only comes in black. It also has a stretchy pen loop on the spine. These are neat because they accommodate a variety of pen sizes. I’m going to start with the best part! The Scribbles That Matter Journals have 100 gsm paper that is ivory in color. What does this mean? It means the paper is thicker (and whiter!) than many other popular notebooks. This leads to less ghosting or bleeding of ink on your pages. Bleeding: When the ink leaks through the page and shows on the next page. Ghosting: When you can see through the page. It hasn’t gone through the page but you can see it. Although reduced with this paper, you’ll notice in my pictures there is some ghosting with this notebook. I do not find it troublesome. Interestingly, one of my fountain pens did bleed through this paper slightly. I should mention I’ve used that fountain pen with the same ink in other sections of my journal without problems. I notice on here that my Pilot Falcon pen also did a bit of feathering (meaning the ink spread a bit on the page). This pen has a flexible nib and can give off wet ink, so I’m not surprised. It’s my favorite pen because of the flex nib (meaning it flexes sort of like a calligraphy pen). Sparkly Highlighters (I cannot call these by their full name because to me they will always be either sparkly highlighters or glitter highlighters. I love them so much haha). 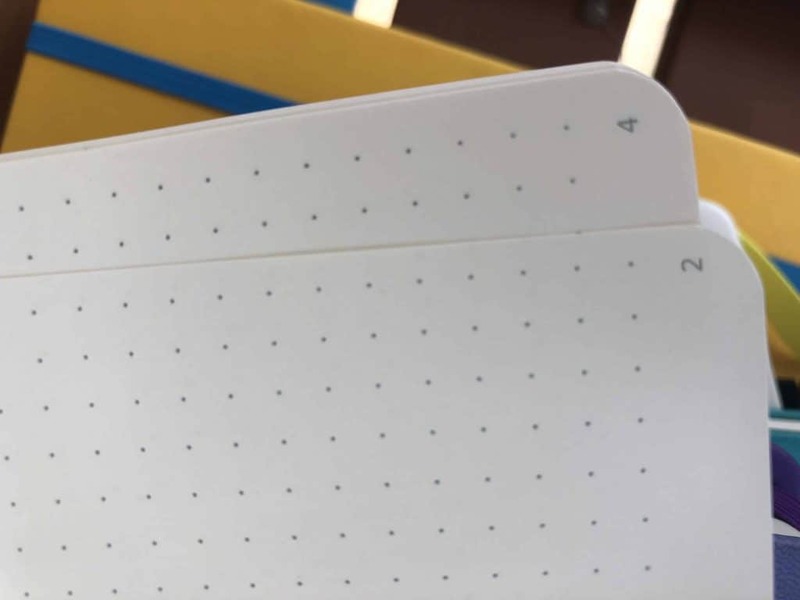 My favorite part of the paper in these notebooks is that it is whiter than other popular bullet journal notebooks. I prefer white paper. Also, the print of the dots is a light grey color. This means the dots are not intrusive. You can see them no problem, but they don’t distract from your journal. I love this. The Scribbles That Matter B5, Iconic, and Pro notebooks all have 201 numbered pages. I love that the pages are numbered for you because it makes it so easy to do your bullet journal index page! In the front of the notebook, there is an index page and a key page. 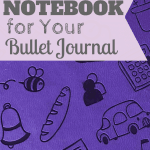 A bullet journal index is an important part of a bullet journal because it helps you keep track of where certain bullet journal spreads are within your notebook. See my post on how to start a bullet journal for more information. There is also a page for your key and color coding. This is a great place for you to keep track of what your dots and stars mean through your bullet journal. Some people use different colors for different parts of their life. This page allows you to keep track of all of your methods of organization. The back cover of the notebooks have a nice pocket built in. You can pull it out a bit to easily fit things in there. I have put sticker sheets in mine from time to time. I’m a paper and pen snob, as you may have noticed with the variety of pens I chose. (There are SO MANY more where that came from). That said, I love my Scribbles That Matter Notebooks. My favorite is the Iconic Version since I love a cute planner cover! These journals are well made with sewn bindings. The details are nice including the light colored print, thick white paper, ribbon bookmarks, and pen loop. I’m a huge fan. A bit pricey, but in line with other notebooks of similar quality. A little update: since writing this post I purchased the B6 journal to put in my Foxy Fix cover. I LOVE THIS SIZE! It has all the same features of the larger sized notebooks but much more compact and easy to carry. This size always reminds me of a mass market paperback (though it is a little wider than that I believe). The pages are a bit smaller, so may help those of you with fear not being able to fill a blank page! Where To Buy Scribbles That Matter? My favorite bullet journals for sale! 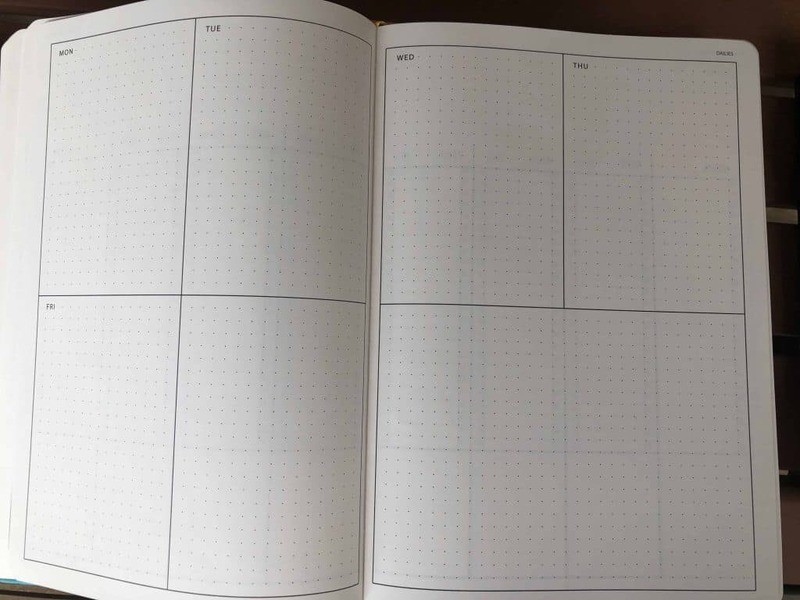 Before going further, check out my post on the NEW version of the bullet planner! It is in A5 size and has beautiful details. I think you’ll love it! One thing Scribbles That Matter offers that I haven’t seen from other brands is a Bullet Planner. This is a done for you bullet journal where the layouts are already drawn out. I created a video for you so you can see how this journal is laid out. When I purchased it there weren’t pictures of the pages anywhere. I figured this would help you in your decision about whether to purchase. 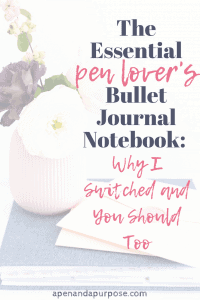 The Bullet Planner is similar to the other Scribbles That Matter journals in that it has a key, dotted pages, a pen test page, ribbon bookmarks (3), and a folder pocket on the back. It also has the same thick paper (100 gsm according to Amazon) as the other notebooks. It is missing an index and page numbers, which I find disappointing! I will share some pictures of the pages here. 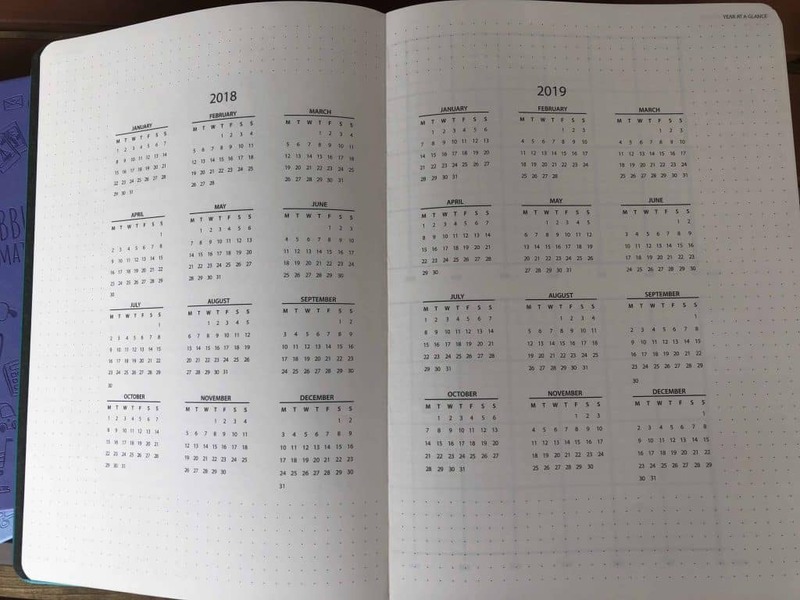 In the beginning of the journal, there are pages showing a year at a glance including all the little month calendars. As you can see, there is some space around this area where you could take notes. For instance, you could color code certain dates and label them down the side of the page. I like to circle special dates in color (for example, important birthdays in pink). The next page has an annual progress tracker. 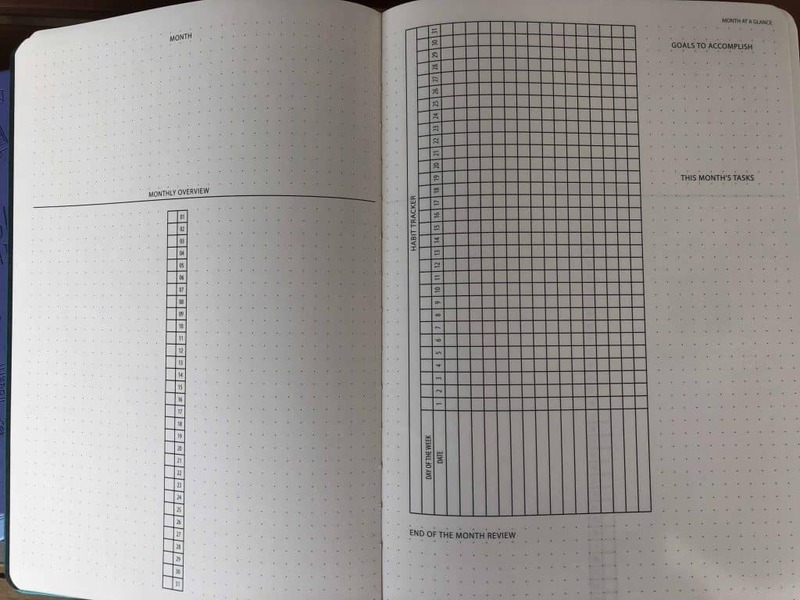 On this page you would track certain goals, likely by plotting them on the graphs. The graphs are labeled by weeks, so you could track your progress on something week by week. I personally cannot see myself using these pages. 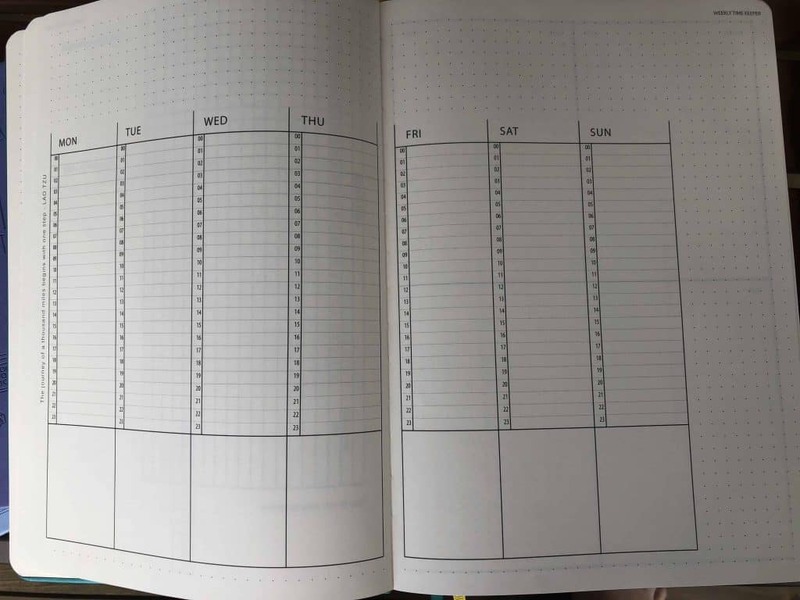 The next section includes monthly planning pages. There are twelve sets of these pages. The monthly page comes as two pages. On the first page there is a section for notes and then a monthly overview (or monthly log) listing the dates in a vertical column. There is space on both the right and left side of the page so you could potentially track future appointment for work and personal reasons. I like to track ideas for blog posts and social media in my planner and could see doing this on these monthly logs. I like that there is some personal reflection built into these monthly pages. Reviewing your goals is important to reaching them! Next are your weekly pages. Each week, you will have a weekly page including a planner page with a time grid to mark down appointments. Underneath the time grid is a box area that is approximately the size of an Erin Condren box. There is also space around the calendar where you could take notes or do some lettering. After each weekly page is your daily pages. The daily pages are drawn over two pages and include boxes labeled Monday through Friday and another long unlabelled box either for the weekend or other needs. This allows you some flexibility in how you track and decorate day to day. 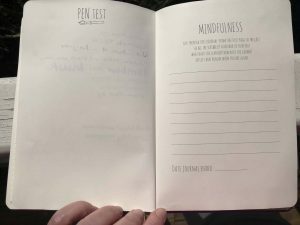 At the end of the Bullet Planner there are pages to keep your user IDs and passwords, a mindfulness page encouraging you to review your year, and a pen test. I purchased this but never used it. The reason I changed to a bullet journal is because I like the freedom it provides me. 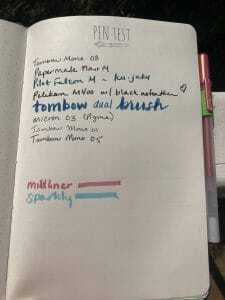 However, I find the Scribbles That Matter Bullet Planner is too structured for my needs. There are some positives about it and as I go through the pages I can imagine using the pages creatively at times. In fact, each time I look at the journal, I feel more attracted to using it. Good thing it’s undated so when I finally get the urge to use it, it’s ready! If you are looking for some more structure and would like something done for you, I think this is great! It’s a well made notebook with some nice features. If you’re time crunched, it is a good option that would allow you more flexibility and space for notes than a regular planner. At the end of the video I showed you some other bullet journal setups I’ve been trying. The first was a coiled notebook by Erin Condren. I love this one because the size of the pages leaves a lot of room for creativity and lists. The colors are pretty, the paper is thick, and it lies flat. I used this for my work to do list this week and I really enjoyed it. Next I showed you some bullet journal pages in my Leuchtturm. I showed you how I used a circle stencil to create circles for my gratitude spread and how using stickers, stencils, and nice pens can help anyone make a pretty bullet journal spread. Let me know what you think of the Scribbles That Matters notebooks! I’m especially interested in whether you’d find the Bullet Planner works for your needs. Also, remember to check out the new brush pens!